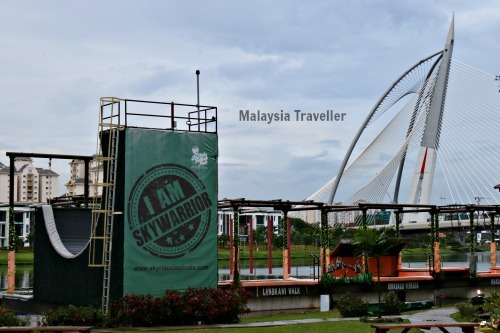 Skyrides Festivals Park is a fun place to take the children in Putrajaya. 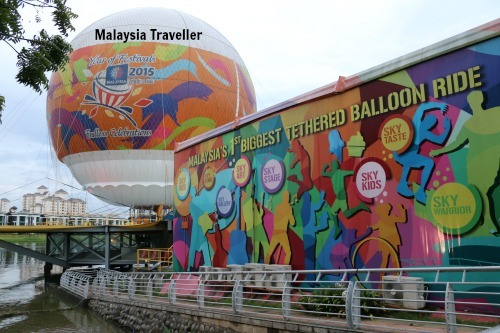 It opened in May 2015 in Putrajaya Presint 2, close to the Millennium Monument. Also at Skyrides is the SkyWarrior Rainforest Challenge, a Ninja Warrior-style obstacle course where you can test your strength and agility skills against the clock. Most of the course is above water so if you fall you will get wet. There are 8 obstacles named after rainforests and mountains in Malaysia namely, Chelik Falls, Ulu Sepat Clasp, Marudi Crossing, Kinabalu Ferrata, Langkawi Walk, Kinabatangan Swing, Cameron Web and Danum Valley. SkyKids Warrior, is a junior version for younger kids to have a fun adventure and develop their endurance and coordination. It comprises 15 mini obstacles where kids have to hop through tyres, crawl under hoops, cross wobbly bridges, climb nets, balance on stepping stones, drive cute scooters, negotiate a maze, jump from platforms and more. Other activities here are bike cart rental (2 seater or 4 seater), chopper bike hire, riding mechanised arcade animals, pedal go-karts and a mini ‘bullet train’ ride. Events such as karaoke contest and Save the Cats show are staged periodically. Sunday - Thursday 10 am - 10 pm. Friday - Saturday 10 am - 12 midnight. (SkyKids is open from 10 am - 7 pm daily). 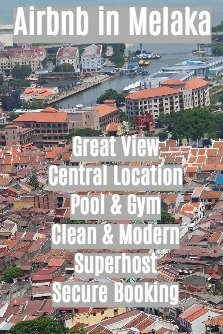 The location is marked on the map on my Top Putrajaya Attractions page. 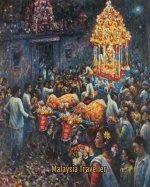 It is right next door to the Millennium Monument (Monumen Alaf Baru). There is free public parking just next to Skyrides. For more information you can refer to Skyrides' Facebook page. Or call Infoline: 03 8893 0185. For group bookings, team building or customised activities call Syazzana 014-819 4877, Siti 014-969 9482 or Ronald 016-272 2677.